I usually choose the early flights whenever I travel. The reason for this is that I want to spend maximum time to the places that I will be visiting. The more time that I have means that I have time to roam around. More time means more travel experiences for me. So, for my second visit to Cebu I chose a flight around 7 AM so I can reach the Queen City of the South early. The problem with early flights is that I am forced to go to the airport very early. 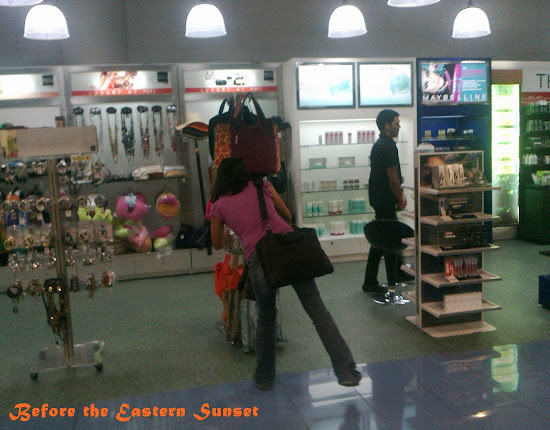 Airlines usually require their passengers to be at the airport two hours before the estimated time of departure (ETD). I am fortunate because I chose to fly with Cebu Pacific and used their Web Check-in that allowed me to go to the NAIA Terminal 3 forty-five minutes before ETD. NAIA Terminal 3 is the newest terminal of the Ninoy Aquino International Airport (NAIA). Cebu Pacific, Air Philippines and other airlines use this terminal. The old NAIA terminal is currently being used by the Philippine Airlines. I like NAIA Terminal 3 because it is cleaner and better looking than the old terminal. Another plus points for this terminal is it is spacious enough to accommodate the passengers that come and go in NAIA. I got time to roam around NAIA Terminal 3 before my flight to Cebu City and I saw many interesting things. 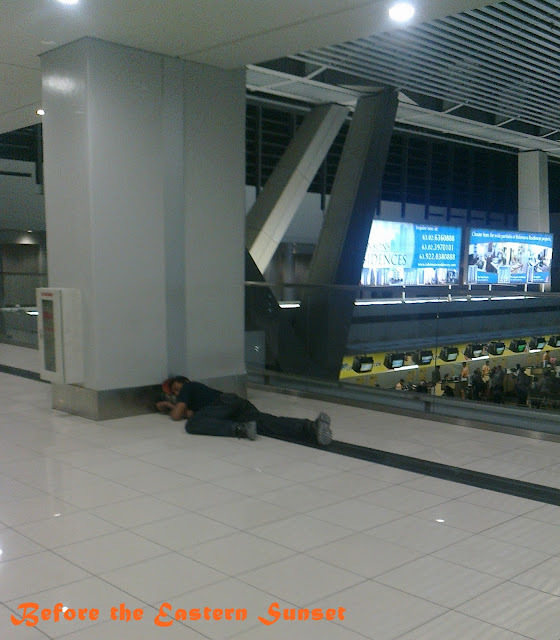 If you have an early flight then I suggest that you sleep in NAIA Terminal 3 instead of checking into some hotel. The advantage of this is that all you have to do is to wake up few minutes before your boarding time. There is no need for you to rush from the hotel to the airport. This is also perfect for those who don’t have money for a hotel room. All you have to do is to find an unoccupied floor anywhere in NAIA Terminal 3, place some cloth and use your traveling bag as pillow. Voila! You have an instant “hotel room” right within NAIA Terminal 3. Just make sure that you stick to the wall so that you don’t block the path of other people. Passengers got bored when they wait for their flight. 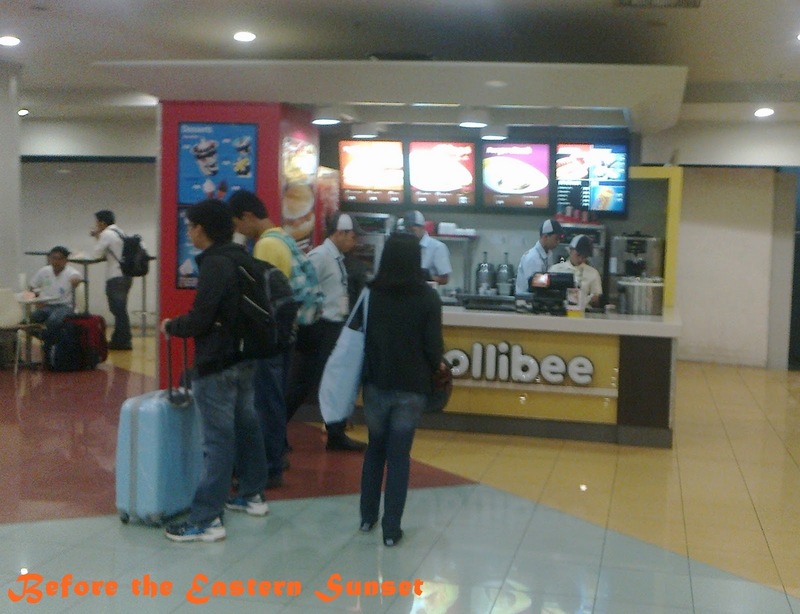 That’s why I think it is a good that NAIA Terminal 3 was developed to have a space for stores and food shops. NAIA Terminal 3 is now a mini-mall thanks to the presence of various restaurants like ever-present Jollibee, 7-11, Ministop, Pancake House and Yellow Cab. Shopaholics can spend their waiting time by visiting the Mini-mall of NAIA Terminal 3 at the third floor. Assorted things can be found at the mini-mall. Looking for a bag? 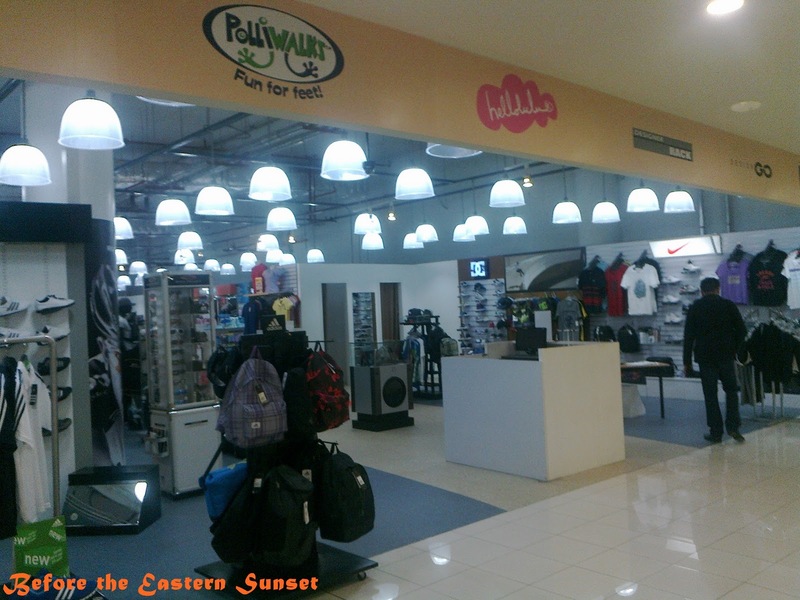 Find it in NAIA Terminal 3. 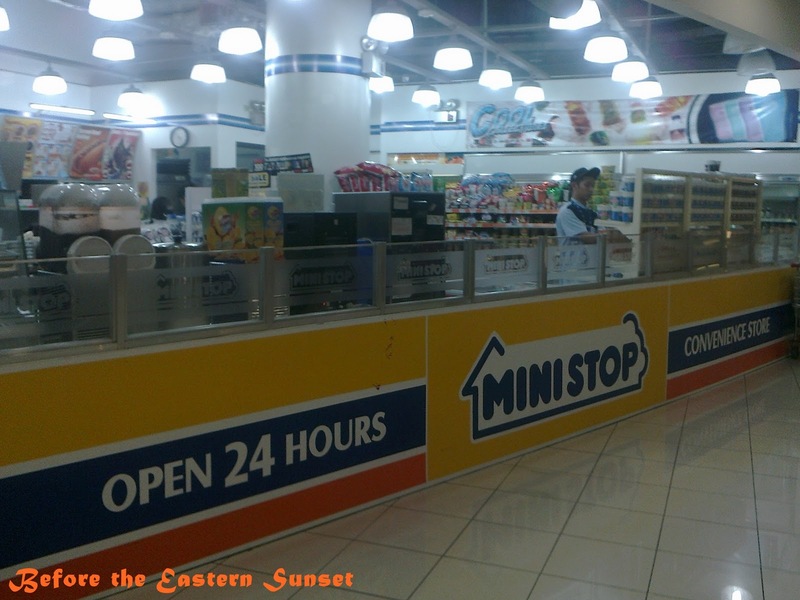 ATMs of BPI and BDO can be found inside the terminal. 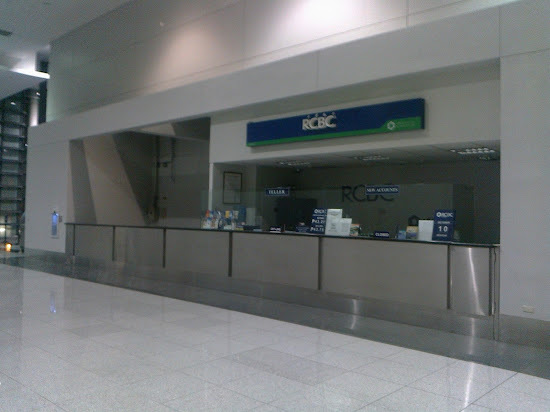 RCBC also has a branch in NAIA Terminal 3. 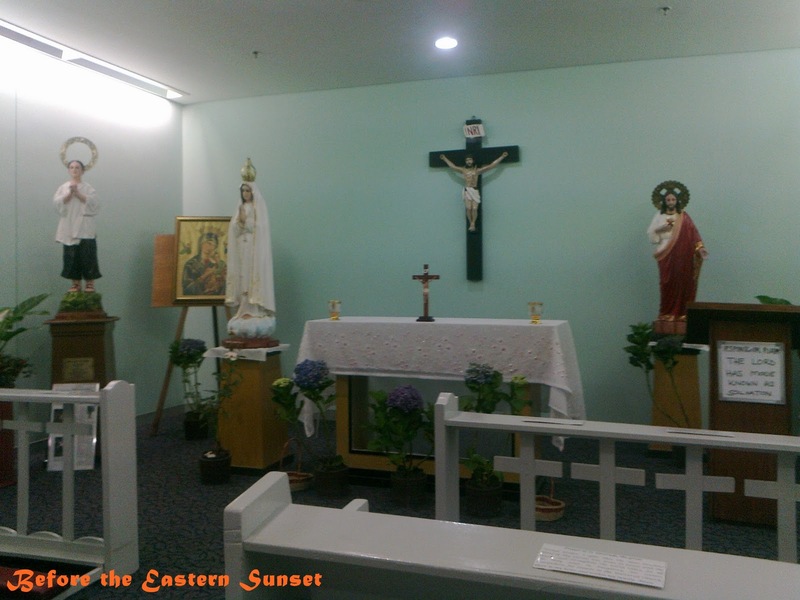 I am delighted to discover that there is a chapel inside NAIA Terminal 3. I took the time to pray inside the chapel. I asked God to keep me safe during the whole duration of my travel. Inside NAIA Terminal 3 chapel. I highly suggest that you visit this chapel before you board your plane. It is time for me to leave after my visit to the NAIA Terminal 3 Chapel. I went to the boarding gate confident that God will be with me throughout my voyage. Yes it is. That's why I am so glad the NAIA Terminal 3 management decided to place a chapel there. Ako din pag nag book ng flight e maaga ang kinukuha ko. 6AM yata ang pinaka maaga kong nabook dati. Di ko pa nakita ang chapel. Next time hanapin namin yan. Sana mahanap po ninyo. Madali lang naman hanapin. Tanungin n'yo lang po 'yung guard. Wow! There's a chapel inside the airport? is der any dress code at T3 or ok lang kahit naka-slippers and shorts? .. There is no dress code for NAIA Terminal 3. You can enter the terminal even if you are just wearing slippers and shorts. What's important is that you have your ticket. You will be barred entrance to NAIA Terminal 3 if you don't the ticket with you. Yea. I love NAIA terminal 3. I position to the one which has a power outlet hehe. Free charging for my laptop and phone. I am glad to of some help to you Burn. Welcome back kababayan. God bless your travel. It is easy. The important thing is you should have your ticket with you. The first thing you do is to enter the terminal then go to Cebu Pacific sa second floor. Find the booth where they register the passengers of your flight. You should know your flight number so you can find the right booth. There you can get your boarding pass and leave your baggage. The next step is to go to a booth where you will pay your terminal fee. The last place to go is the boarding gate where you will board the plane. I'm going to try this I guess. It's so expensive to stay in a hotel. Yes. Try this so you will not need to shell out money for staying in a hotel. Nabasa ko ung comment ni Lanie nung Feb , 2012 about dress code.. Hanggang ngayon parin po ba ay Wala parin dress code sa NAIA 3? Gusto ko sna na mag shorts at slippers lng, pwd parin po kaya iyon? Hi Cedie. Pwedeng pwede po ang shorts at slippers sa NAIA. Why Don't They Fix Picnic Grove Tagaytay?